With its smart and soft design, Piave P200 combines the best of technology with top comfort and minimal space requirements. 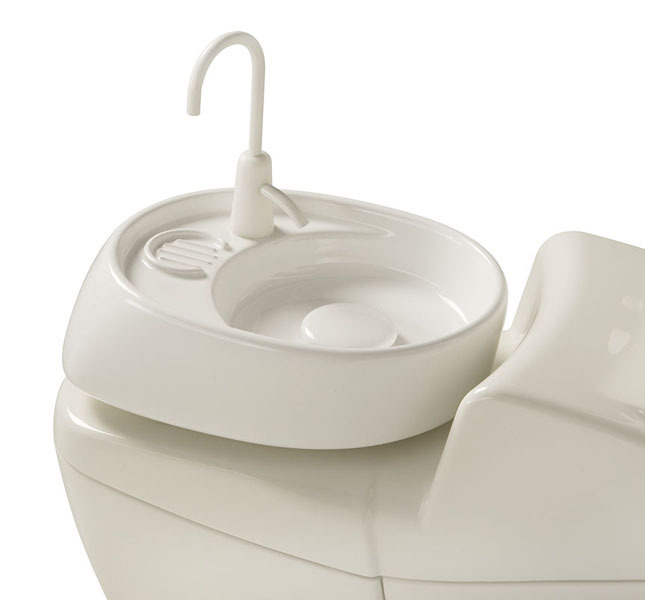 Style and class are now serving versatility and ergonomics. 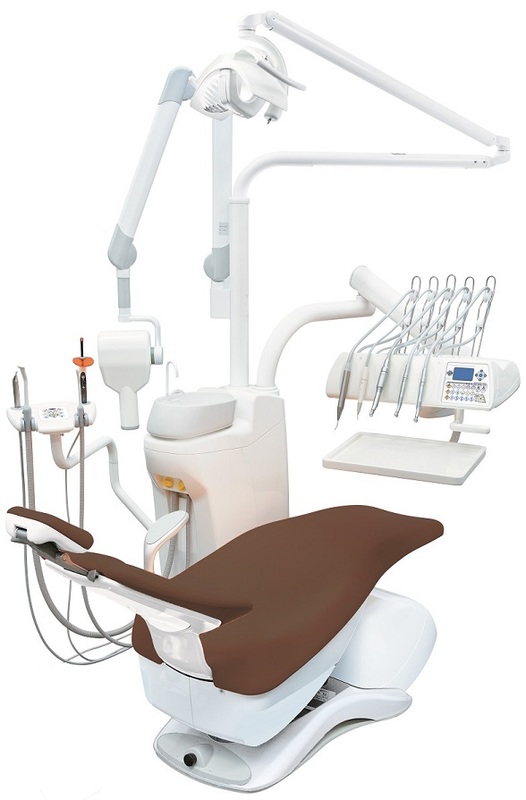 Piave P200 is multi-functional column-based dental unit which features great versatility with ease of use. 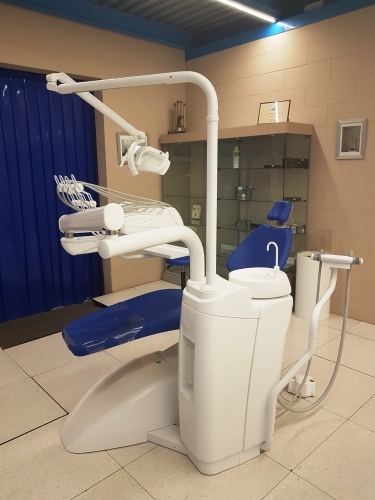 Piave P200 column is independent from the chair and ready for housing both a RX and a Monitor, or a PC or a Microscope, assuring maximum stability and operational safety. 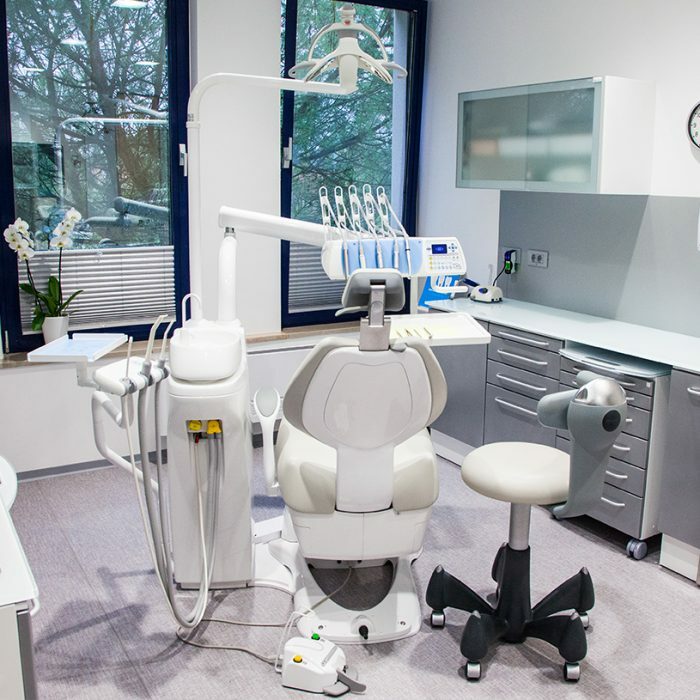 Piave P200, like all other Piave dental units, is provided with a modular doctor table, ready for up to 5 instruments. Piave doctor table is available with S.P.R.I.D.O. hoses or hanging/pending cables. 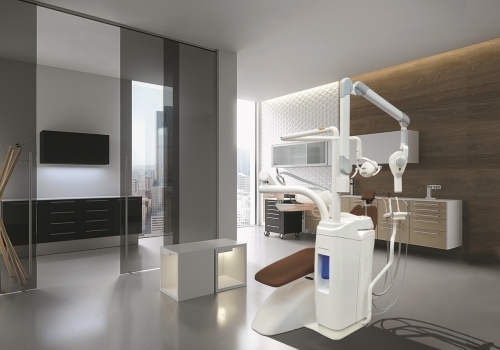 The well thought design of this Piave dental unit provides great freedom of movements. Moreover, the instruments feel light and manageable during operations thanks to the wide excursion and right balance of the tubes. You’ll never run out of space with the double tray! 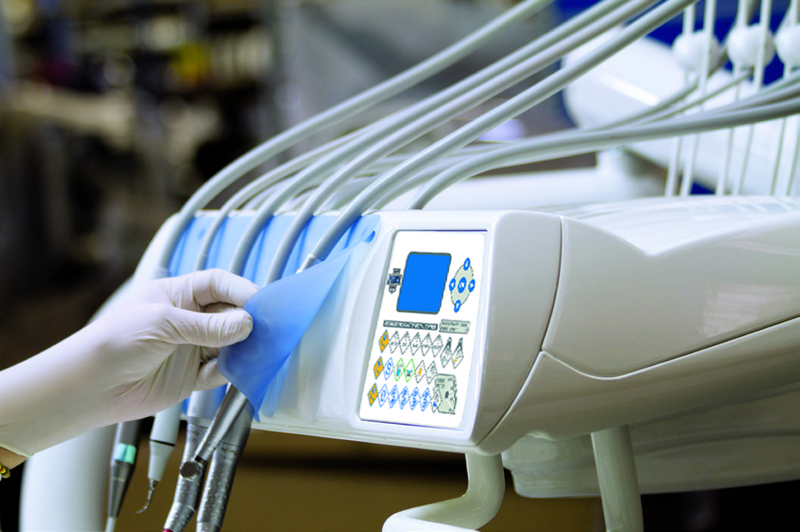 Piave P200 doctor keyboard is easy, intuitive and complete with all the functions. On its large display, you can easily read and select the power of the ultrasonic scaler and the speed of micromotor and turbine. 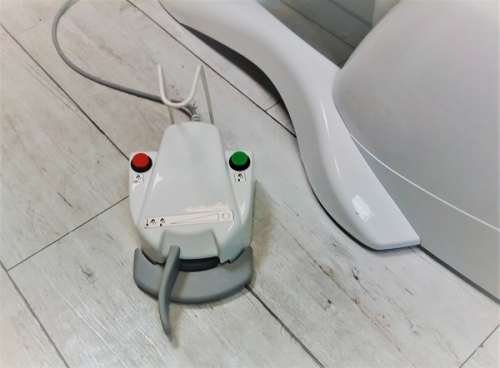 The assistant can easily remove and clean the practical silicon pad. 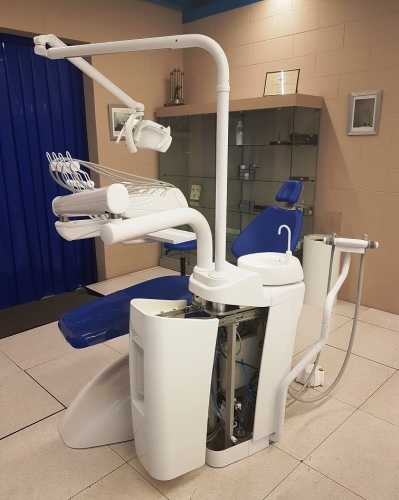 Piave P200 assistant table has 4 housings for cannulas and two extra instruments and the assistant can easily control and manage all the functions of water group, disinfection systems and chair. The assistant table is available also in another configuration, designed for doctors working without assistant, with a special double arm installed on the back of the chair. See the Giano Tech feature here . 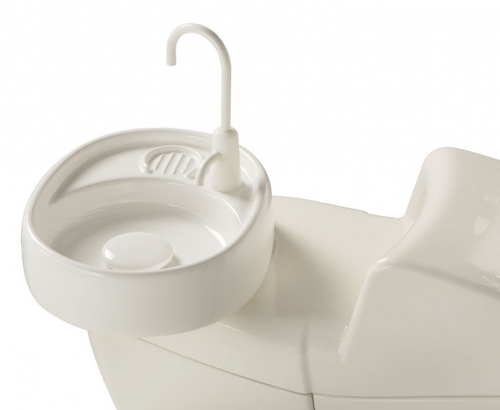 As our quality aim, each Piave dental units is equipped with a completely Made in Italy ceramic spittoon, with rounded design and removable autoclavable water pipes. 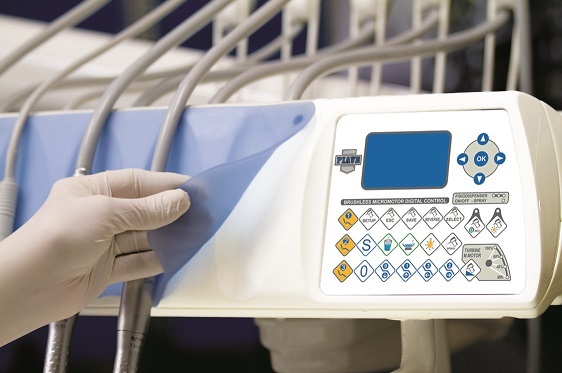 The special 90° clockwise rotation helps patient use and assistant operativity. Are you a left-handed Professional? Piave P200 can satisfy your needs! Ask us for the version which best suits you.